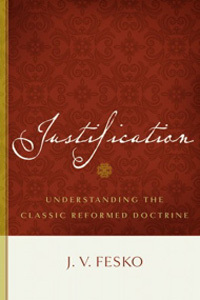 So I’ve been reading Dr. Fesko’s book, Justification: Understanding the Classic Reformed Doctrine, which has sparked some thoughts regarding the New Perspectives on Paul. It seems like one of the ideas that is put forward (by the NPP) is that the Second Temple Judaizers weren’t too keen on legalistic righteousness. They would never dream of thinking they could obey the whole Torah, let alone earn meritorious righteousness before God by law keeping. Rather, they merely saw several key laws that served as boundary markers between them and non-Jews. And although it may be hard to determine exactly what they had in mind (Qumran writings may indicate considerable law-keeping was required), one might be able to boil things down to three major categories: Sabbath, circumcision, and dietary restrictions. Now, this context actually works — as far as it goes. It seems reasonable (from reading Paul) that something like this was certainly going on. 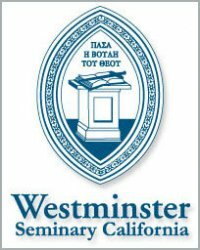 But what comes to my mind is how clearly and forcibly Paul refutes this notion of the Jews, not by merely correcting their misidentification of the proper boundary markers (which they certainly got wrong), but by insisting that those who wanted to “keep Torah” were obligated to keep it all! They didn’t think they had to keep the whole law, and Paul slams them for it! This right here, I think, provides a hurdle for the notion that “boundary markers” were all that was in view (at least in the mind of Paul). If “keeping the law” meant merely circumcision, are we to take it (as the NPP would have us) that not even those who were physically circumcised were physically circumcised? When Paul uses the phrase ‘works of the law’ in Gal. 3:10 and cites Deut. 27:26 (in a composite quote drawing on other statements in Deut. 27-30), the Deuteronomy context indicates that Paul has in mind the law in its entirety including even actions done in private.” – Paul, the Law, and the Covenant, quoted in Fesko’s ‘Justification: Understanding the Classic Reformed Doctrine, p. 177. Furthermore, most of Romans 2 Paul is trashing any notion that the Jews could hide against certain legalities (e.g. circumcision), in order to distinguish themselves from others before God. So there is a profound sense in which it wasn’t just about circumcision or keeping kosher that Paul had problems with! It wasn’t that the Jews merely got the wrong boundary markers. Their problem was they didn’t realize that the whole law stood condemning them in the face. And there they were holding on to vestiges of the Mosaic order, as if by these ordinances they would be vindicated. Like grabbing the handrail of a sinking ship, their spiritually blind groping for badges of distinction only added insult to injury. The point is, even if these were the right boundary markers, they were going about it all wrong. How wrong, one might ask? But since they had a low view of the law and its total and rigorous requirements, they still wanted to be under the law. One can easily see then why they failed to see the importance of the work of Christ. The law could never save them. It was never intended to. Even circumcision was meant not merely to separate them from the rest of the world, but also to point them to Christ. But due to their spiritual hardness of heart, he was the very one they denied. Reading through the Psalms, one is faced with various interpretive challenges. Amongst the foremost in this respect is doubtless the motif of the psalmist’s own righteousness before God: “Judge me O Lord, according to my righteousness and according to the integrity that is in me.” [Ps. 7.8]. Perhaps one may begin with paradigmatic “righteous man” found in Psalm 1. As J. V. Fesko has helpfully brought to mind in his chapel message earlier this year, no matter how one approaches this issue, one must inevitably ask the question: Who is the Righteous man? As Fesko points out, one might ask, “Am I the righteous man?” Or more humbly, “I want to be the righteous man.” But what are we to understand the text as telling us? Fesko notes how some translations render this passage: “Blessed are those…” (plural, neuter, TNIV). And yet in an interest to be gender neutral, not only the text’s language but also it’s theology gets altered. Altogether missing is the original emphasis on the masculine singular, “ha-ish” — indicating, “the man.” Who then is the righteous man? Well, before we can understand this or any other psalm (especially when the idea of righteousness is involved) we must first see how it points to Christ — who is the “end of the law for righteousness to everyone who believes” [Rom. 10:4]. And furthermore, we have as a baseline understanding that, “None is righteous, no, not one” [Rom. 3:10]. Thus, we must have a robust view of how Christ is first and foremost the righteous man, and as such, is our righteousness. Then (and only then), can we truly begin to realize and appreciate how we too participate in the blessedness of the righteous man. For just as Christ has attained to all blessedness by neither walking, standing, nor sitting in the council of the wicked, but rather by delighting in the law of God, meditating on it, and thus prospering in all he did, so we also are now blessed (in him) with every spiritual blessing in the heavenly places [Eph. 1:3]. 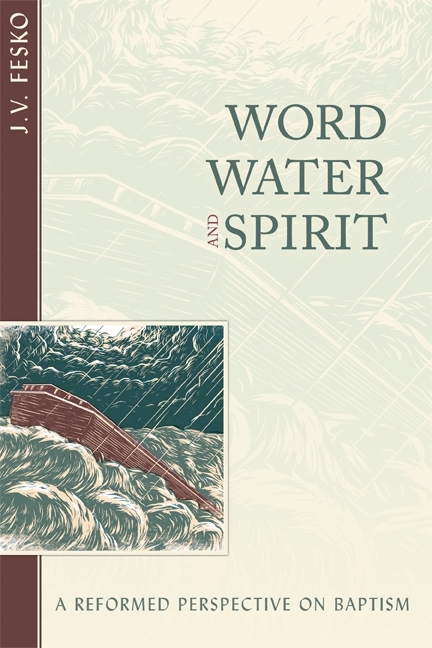 Now we too are planted by streams of living water. We are engrafted into Christ. And thus our leaf will not wither. And by grace alone we will bear fruit in season. To the glory of God alone.